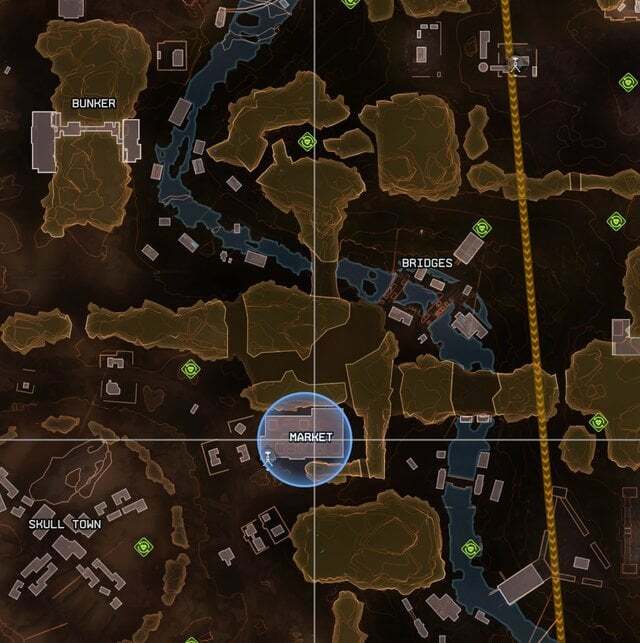 To help you find the best looting spots in Apex Legends, we have complied a list of some of the best places to get loot early on in the game. 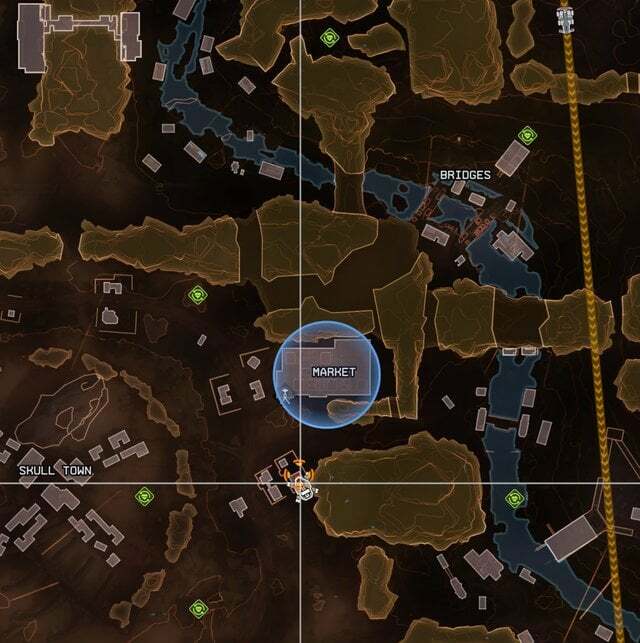 At the beginning of every match, a Hot Zone will be marked on the map by a large blue circle. 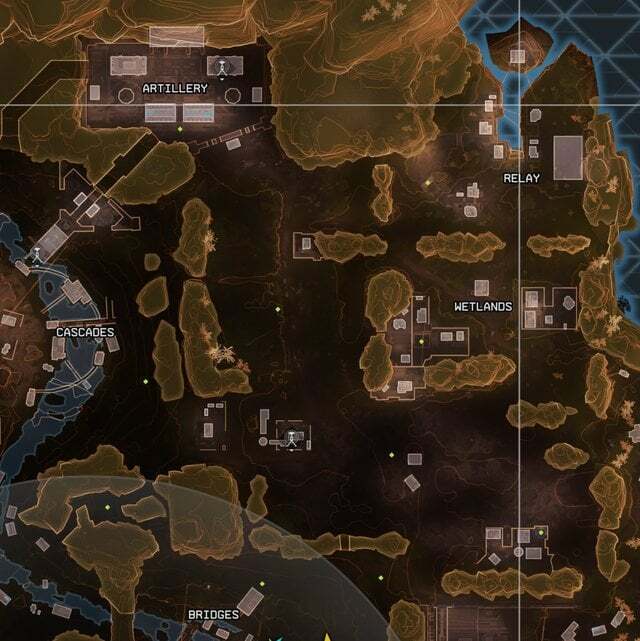 Throughout this highlighted area, players will find that there is an increased chance of receiving higher tiered loot in this area, as well as finding decked out weapons that are complete with all attachments. Given that Hot Zones are seen by every player in the match, you can only imagine just how intense this area can be, especially when it is close to the beginning of the flight path. If you’re lucky and the zone isn’t directly along the flight path, there is a much greater chance that many players will simply bypass the zone in favor of a closer area. Hot Zones can be very risky, but if your willing to battle it out with a number of other players the chances are you will be highly rewarded. If you’re looking to loot in peace, the Thunderdome is going to be one of your best bets. Thunderdome has often been one of my favorite go-to areas to drop at simply due to the fact that you will rarely ever encounter a fight during the opening minutes of the match. While the area isn’t exactly large, it will have enough loot for your entire team. Once your team is decked out and ready, Skull Town is a great option to move on as you will often find at least one team in the area – making it an ideal opportunity to launch a surprise attack on the unsuspecting players. 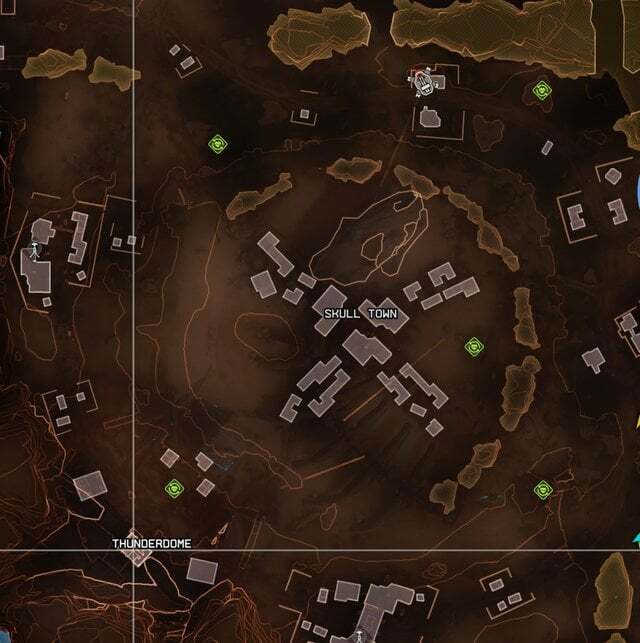 Unique to Apex Legends, players have the opportunity to loot from the Supply Ship – the best initial looting spot available in Kings Canyon. The Supply Ship, much like Hot Zones, will be marked on the map for all players see and will travel across the map until it reaches a marked destination. Here the ship will deploy zip-lines that can be used to travel towards the ship. If you’re lucky though, you may even be able to land on top of the ship during your initial drop. More often than not, the ship will be the fastest way to deck out your entire team and will beat out other areas in terms of loot quality and rare items. However, it is arguably one of the most intense dropping situations you will ever encounter and will usually see upwards of three or more teams landing in the same area, so be prepared for a rather hectic battle. While Supply Drops won’t necessarily be available right off the bat, they do happen to be a great way to obtain rare loot. Working in the same way as PUBG and Fortnite, you will find these randomly dropping from the sky throughout the match. Unfortunately, the chances are you won’t be the only player seeking out these supply drop. However, they likely will not be anywhere near as intense as the Supply Ship or Hot Zones. It is worth mentioning though that before you go rushing into the drop, it is definitely worthwhile to scope out your surroundings to ensure that you aren’t going to be ambushed by other players. Located in the north-eastern corner of Kings Canyon, you will find a small area known as Relay. Much like Thunderdome, you are often left to loot in peace and will rarely find players landing in the area. With enough loot to satisfy your entire team, Relay is an ideal drop location, as it allows players of all skill levels the opportunity to explore and learn the ropes. 1. You’re always in a squad of 3 players – if there are fewer than 3 of you playing, you’ll be matchmade with strangers. 2. Apex Legends has a fantastic Ping system – so if you’re not a fan of voice chat, you can communicate entirely by pings instead. 3. You can mute squadmates, too – head to the second tab of your inventory in-game, and go to that player’s name where there’s an option to mute (you’re welcome). 4. There’s also both a text-to-speech and speech-to-text function – the text-to-speech is PC only as far as we can tell. They’re found in the main menu’s settings page at the bottom of Game Settings under Accessibility Options. 5. Each game has 60 players – that’s 20 squads in total, each round. The in-game counter in the top right of your HUD keeps track of squads, rather than players for the most part, because the high amount of survivability you have in the Apex Legends means eliminating squads is much more important than focusing on individuals. 6. Rounds tend to last for between 14 and 25 minutes – much shorter than most battle royales, thanks to the smaller player count and high mobility, combined with a seemingly smaller map than usual. 7. The indicator on the middle-left of your HUD shows when the next ‘phase’ is coming – in other words, when the circle is going to close in next and force you to the next safe area (marked in faded white on your mini-map and map). 8. There are no vehicles – and of course no Titans. Movement is, instead, a case using your squad’s character abilies and the environment efficiently. 9. Loot is generally spread out evenly, with the Hot Zone, Supply Ship and supply drops the main points of focus instead of specific, high-loot areas – you’ll still generally find more loot in places with lots of buildings, however. 10. You drop from the ship at the start in a fixed formation, following the ‘Jumpmaster’, but you can suggest and veto other suggestions with the Ping system as you go – you can also break off and go your own way by holding the button as prompted on your UI, if you like, but we recommend sticking with your squad! 11. Generally speaking, Apex Legends is about one specific playstyle: fast, constantly-moving gunplay with your squad. It’s not a game for lone rangers, contemplative moments of solitude, or camping – although you’re welcome to try! Let’s finish up with some general tips and strategies that we’ve adopted after hours of play. Practice and learn these points, and you and your squadmates will be winning matches in no time. There’s no fall damage in Apex Legends. Yep, that’s right. No need to worry about sheer cliffs or heavy landings. Slide as much as you can. You can slide by holding crouch while running. This works particularly well down slopes but can also be used to great effect on flat terrain. It makes you a faster and smaller target for enemies, so use it whenever you can. Holster your weapon to run much faster. If you’re struggling to keep up with your teammates or want to get somewhere in a hurry, holster your weapon. Seriously, bind that key to something easy to reach, because you’ll be using that a tonne. Communicate with your teammates. Apex Legends’ Ping system is amazing, so it’s no excuse if you don’t have a microphone. Communicate with your teammates. A rising tide raises all ships. Don’t clutter your inventory with tonnes of ammo. Ammo is very plentiful when you do find it, and the temptation is to pick it all up. But your inventory is very limited and it’ll save you lots of needless inventory management if you only pick up what you need, and drop what you don’t. Coordinate and focus fire on one enemy at a time. This is true of most team PvP shooters, and it stands here as well. Use the Ping system to coordinate your attacks, and focus a single enemy at a time if you can. The team that does this most effectively will usually come out on top. You can vault over objects, debris and low walls by running up to them and jumping.While Apex Legends lacks some of the freedom of movement that Titanfall prides itself on (wall-running, double-jumping, etc.) it’s still useful to know that your character will automatically vault most objects and low terrain just by walking up to it and jumping. Use this to stay on the move and reach hard-to-access areas. Gold armour items have the same stats as Purple items, but with an added unique perk. Gear is divided into separate qualities, identified by colour, much like in Fortnite. The higher the quality, the more durable and effective the gear. But at the very top, Gold armour has the same stats as Purple armour, but with an added trait unique to the type of gear. Gold Helmets give you ability cooldown reductions. Gold chestplates allow you to refill your armour after executing a downed enemy. Seek out these high-level pieces of gear and learn their effects.